More and more New Zealand households are seeking to harness the power of the sun, with small-scale solar installations having been on the rise in recent years and the milestone of 11,000 connections passed in 2016, according to Electricity Authority figures. The figures, released in December last year, show that small-scale solar connections (generation with a capacity of less than 10 kW) totalled 11,117 in October 2016, up from 4,796 in January 2015, with over 2,000 installations having been carried out in the previous 10 months. The Electricity Authority found that total electricity generated by small-scale solar connections had increased by 30 per cent last year, with a capacity of around 40 MW being roughly equivalent to 13 wind turbines. “Small-scale solar offers residential consumers another option for their electricity supply,” Carl Hansen, Electricity Authority Chief Executive, said. “We are committed to removing unwarranted barriers to the connection of small-scale generation. “We are also working to encourage distributors and retailers to provide accurate price information for consumers that are in the initial stages of considering whether to adopt new technologies, such as electric vehicles, batteries, solar power and energy management apps. 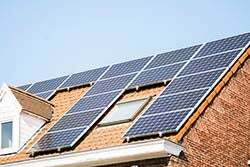 Consumers keen on installing a solar system have a number of options at their disposal, with it worthwhile considering what value such a system will deliver both in the short term and over time, before making a purchase. Solar panels (sometimes called modules), cables and mounting or fixing hardware. An inverter (or inverters) to convert the electricity generated by the panels into the type used in houses. Special meters to record how much electricity is generated and sold. Batteries for grid-connected solar, just coming onto the market. For off-grid applications, batteries, back-up generators and other specialist components. The make-up and value derived from a solar system will of course vary depending upon the circumstances of each individual household. Going solar – where to start? A good starting point for consumers keen on investigating the potential benefits of solar is the Energywise solar calculator, which helps to assess the suitability of solar for an individual household. Consumers are asked for their address and details of their electricity usage, with it taking around 10-15 minutes to complete the questions, at the end of which a detailed report estimating how much value they would get from solar is provided. 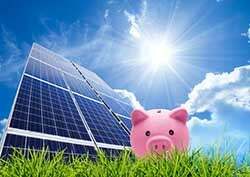 Having determined the potential value a solar system can deliver, it is recommended that consumers compare the various prices and offers available from different retailers and talk to experts within the field. Consumers should keep in mind factors such as the expected lifetime and warranty of a system, and any potential changes to their, or external, circumstances that could impact the value derived from a system. As noted via Energywise, most New Zealand solar installations are grid-tied, remaining connected to the electricity grid, with households with such a set-up both generating solar electricity and purchasing electricity from a retailer. Solar will likely complement a household’s electricity needs, while during times of high demand throughout the day, or at night when solar electricity is not being generated, grid electricity will likely be required. Battery technology, storing electricity generated by solar panels for use during times when solar electricity is not being generated, is one way of going completely off-grid, however whether this is a feasible option will very much depend on individual circumstances. Size a system to match electricity use – with a system ideally sized to provide a household with most of the electricity generated, rather than sold to a retailer. Solar panels should face north as much as possible to get the most sunlight, with no shading ideal. Use appliances during the day to increase the amount of solar electricity used. Maintain the system over time, cleaning panels periodically. Use Sustainable Electricity Association of New Zealand (SEANZ) members to provide advice, quotes and to undertake solar installation work. What about solar feed-in tariffs? For households generating excess solar electricity, the opportunity exists to sell this excess electricity to retailers, feeding it into the grid, with the purchase rate depending on the retailer. Genesis’ HomeGen offer for residences with less than 10 kW output allows customers to sell electricity they don’t use into the grid. Genesis last year advised that it will credit exported electricity at 8 cents per kWh (excluding GST), with GST registered customers to be paid 8 cents per kWh plus GST. 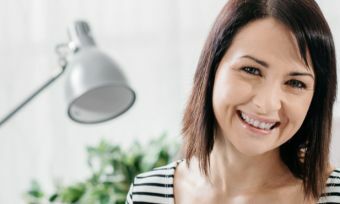 Contact states that for customers with an approved connection from their local network company, it can install a distributed generation meter for either less than or greater than 10 kW output. For less than 10 kW peak standard metered sites, Contact offers 8 cents per kWh (excluding GST, with prices subject to change with 30 days’ notice), while for greater than 10 kW a price is available on application. Meridian’s buyback rates for solar panel systems with a rated capacity of up to 10 kW is a flat rate of 8 cents per unit (excluding GST). Meridian states that customers interested in equipment that generates more than 10 kW should talk to it about their options. Trustpower buys excess generation from customers with small-scale domestic generators under 10 kW capacity, with its current rate 7 cents per kWh (plus GST, if applicable).